Rallies are being held in Jersey City, Mt. Holly, Newark, Paterson and Perth Amboy today as part of the “One Year Out Census Tour” meant to highlight the financial and political importance of obtaining accurate results when the 2020 U.S. census is conducted exactly one year from today. Lt. Gov. Sheila Oliver is scheduled to participate at the Newark rally this afternoon to kick off the state’s efforts to promote full participation in the 2020 census. Oliver will be joined by Newark Mayor Ras Baraka and Secretary of State Tahesha Way, who chairs the New Jersey Complete Count Commission. 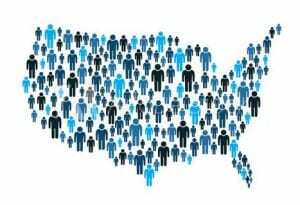 The U.S. Constitution requires a census be conducted every 10 years to count all people living in the United States. The results will determine the allocation of billions of dollars in federal funding for essential state programs, as well as the number of elected representatives New Jersey is given in the U.S. House of Representatives. However, 22 percent of New Jersey population lives in places the U.S. Census Bureau classifies as “hard to count” areas, tracts where almost a quarter of the households did not mail back their paper census questionnaire 10 years ago. In 2020, households will, for the first time, be asked to submit census responses online, but nearly 15 percent of New Jersey households have no internet access or limited dial-up access. A new citizenship question included in the 2020 census also has the potential to discourage residents from participating. The New Jersey Complete Count Commission was recently created by law to develop and assist in implementing an outreach strategy to encourage full census participation, and the 27-member panel will hold three public hearings in the state, beginning on April 24. NJBIA President & CEO Michele Siekerka is one of the commission members.